The late President Hugo Chavez’s campaigns against the oil companies and for the relief of poverty are well-known and heavily criticised. However, Afro-Venezuelans, half the nation’s population, call him “the emancipator”. This dark-skinned man of humble origins brought up in a dirt floor house, promoted inclusion and energised the Black masses. “Hugo Chávez, popularly elected in 1998, is the first president in Venezuela’s history to claim and honor his indigenous and African ancestry. 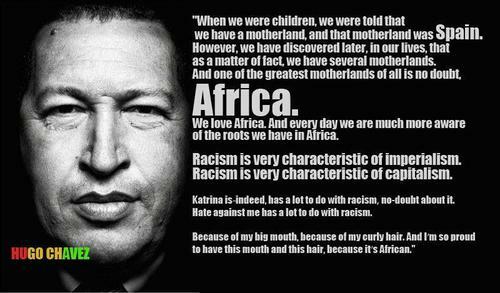 In an interview with Amy Goodman in 2005, President Chávez said, “Hate against me has a lot to do with racism. Because of my big mouth, because of my curly hair. And I’m so proud to have this mouth and this hair, because it’s African,” according to embassy sources. His equality policies and programs raised awareness of racism in government and nation, to counter its devastating effects and vestiges. Black men and women, housewives and workers, many with slave ancestors, joined the new community councils, job coops, food markets, health centres, literacy training and micro-credit programs. Chavez rests therefore with the legendary Cimarrón and the runaway maroons that defied the slave masters. The Yoruba-influenced and poorest Afro-Venezuelans in the northeast honour him. To many, he is a freedom fighter against centuries of racial exclusion, governmental violence and societal repression, according to the praise-singers of African cultural heritage. 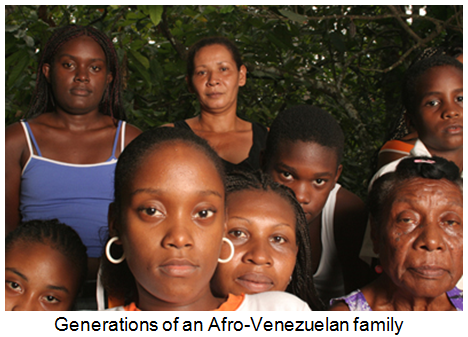 Herewith the testimony of The Network of African Descent, Venezuela. According to the wisdom handed down as part of the spiritual heritage of enslaved Africans; when an individual marks his passage on this Earth with solidarity and concern for others, and selflessness, he is recognized as a sage. When someone gives his body completely for justice and equality, who fights because he knows that that others are not eating while he is chewing a piece of bread, who goes to bed thinking that someone else is cold; such a man is sage. He who knows does not die like he who knows not, says the Yoruba philosophy. When you find someone who can rejoice when he has power and yet teaches you lessons in humility, you have known a sage. A sage with such a characteristic is a leader; a person who ceases to be himself in order to become another; a person who becomes a myth, or perhaps a spirit who visits many places without knowing it. These spirit sages or wise men turned into spirits are not born every day. Their passages are rarely visible on Earth; and when they appear their deeds are the stuff of unforgettable stories. King Michael, Andresote, Miguel Guacamaya, José Leonardo Chirinos, Petión were and are sage leaders, spirits and heroes of our history as African descent. Today begins another cycle in our history of leaders. Hugo Chávez Frias joins our pantheons of leaders, sages and spirits, who, by their actions and their struggles, identify with Africa and African descendants. In our African wisdom he becomes an ancestor, he does not die, he enters another existence recognized as an eternal sage, an unquestionable leader and a solid hero. We will dry every tear, we will overcome our sadness, we will grieve for the moment but we are confident that we will continue on the path of freedom and that we will continue to fight for our rights and fight for our recognition of the men and women of African descent. 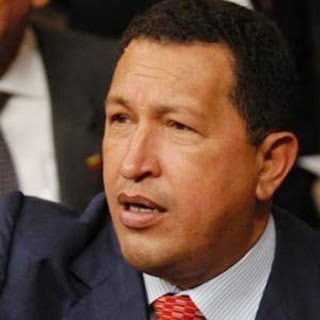 Hugo Chavez, cimarrón forever, ancestor freedom fighter, brother and father of African descent, we will never forget you. The utmost care has been taken in preparing this article; corrections and comments are encouraged, however the editor/publisher disclaims all responsibility for the accuracy and veracity of internet or other sources.